During chilly, dreary weather conditions, a robust wood burning stove promises many happy hours of comfort and enjoyment. People searching for a stove with DEFRA approval will want to consider the sturdy Jotul F162 Woodburning Stove. Manufactured by a leading Scandinavian design team, this unit boasts some striking qualities. Its unusual (yet stylish) conformation features three legs. Choose this unit with standard long legs or, for an additional fee, select short legs. 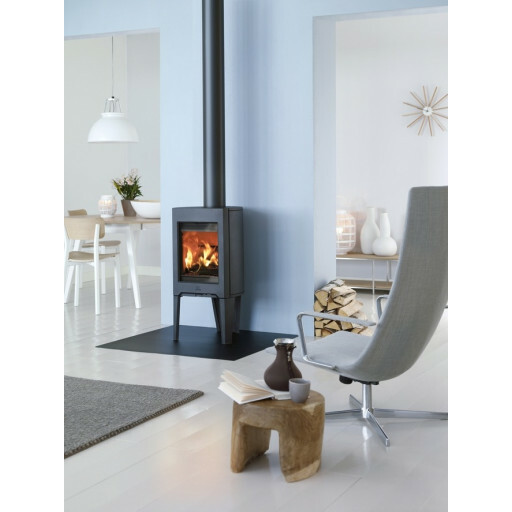 The Jotul F162 Woodburning Stove attaches to either a top or a rear flue. Customers may request an optional trendy soapstone covering for an additional sum. They also enjoy the option of purchasing an available outside air kit. Composed of high quality materials (including cast iron and steel), this delightful member of the Jotul 160 product line accepts only wood fuel. It carries an impressive 10 year warranty. This model reportedly generates up to 8kW of radiant heat. This elegant stove complements a wide array of different settings superbly. Use it to warm an office or a reception area. 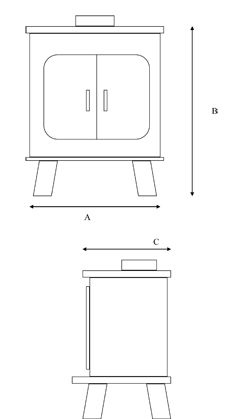 Or consider placing the Jotul F162 Woodburning Stove in a living room, a den, a dining area, or a kitchen. You'll enjoy this model's lovely appearance; it suits Country, Rustic, Classic, and Minimalist interior decorating plans very well indeed. See this item today at The Fireplace Warehouse!